A few people have contacted me about how to manage financially if or when they go part time instead of full time. It can be hard, especially if it was unplanned such as job cuts or from injury. If it is something like that, make sure you talk to a lawyer to get advice as you may be entitled to compensation or there might be grants available to you, which will help. 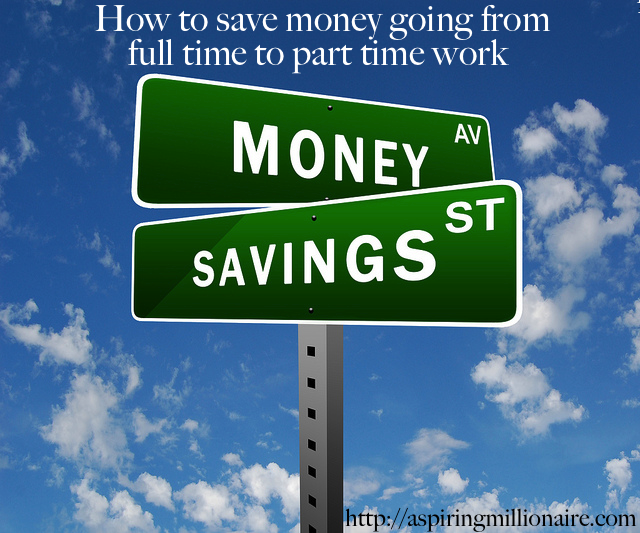 If you are working less, theoretically you have more time, which can translate into huge savings. You can do more yourself and just by making the switch some expenses shrink anyway. When you work less, you can save a few hundred a fortnight simply by taking your children out of childcare too. Not driving to and from work means lower petrol usage, less wear and tear on the car, no longer paying for parking and in some cases, it means you can get rid of the second car all together. Using public transport a couple of days might be more practical than having a car. This applies especially if you work in a corporate environment. At home you don’t need to have a certain look and can dress more casually if you desire. As lovely as it is to have someone clean your house, you can save the $50 - $100 a week you spend on a cleaner and do it yourself. Do that manicure or facial yourself. Pop a treatment in your hair instead of going to the salon. Mix up your own body scrub and other beauty products. You can save a few thousand a year doing your beauty yourself. Take the time to menu plan, cook meals to have on hand when you are busy, make school snacks and more. You can save a significant amount of money by planning your meals and stopping food waste. Use some of the time to compare prices on all the insurance and services you use in your life. 10 minutes here and there checking each one can save you hundreds per service per year! Drop the gym membership and go for a run, use outdoor equipment or join up with other mums to exercise instead. What ways do you save money being at home more? These are all great points. When I went from being employed to self employed, I took over a bunch of the household duties. I took a pay cut in going solo, but we are saving money in other areas of the house which makes my lower income more affordable to us.